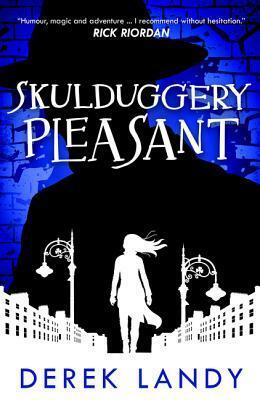 With a new book in the series coming out, the Skulduggery Pleasant series is being reprinted with new covers. Not having read the series when it first came out, I was interested in reading it this time. And I was not disappointed. In fact if anything, I was pleasantly surprised at how compelling and interesting the story was. With a main character who happens to be a walking, talking skelton, I figured the book would be more creepy than it turned out to be. Not that there wasn't plenty of creepiness, just that the snappy banter between Skulduggery and Stephanie added humor to the story lessening the creepiness factor a bit. Once the action gets going in the third chapter, it doesn't really let up until the end. While their are brief respites for the characters, they go from one dangerous situation to another after Stephanie is left alone in the house her Uncle Gordon left to her. She discovers magic and evil are alive in the world and joins Skulduggery in seeking her Uncle's killer. But after Skulduggery is captured it's up to Stephanie to determine whether she's really ready to join this dangerous world or whether she should leave it to those with more experience. (We all know what she chooses though, after all, she wouldn't be a main character if she didn't dive in 100%.) The book is clearly British in origin, but other than a few British terms (bonnet for hood, etc.) the story is easy to follow. And once the reader is dragged into the story, there's really no letting go until you know what happens. Now I just need to get my hands on the rest of the series, because this is definitely a series where you don't want to read just one book. SUN! combines darling illustrations with a fun, informative text. Sun is, of course, telling his own story. He wants to make sure that the reader knows just how important he is. This would come across as obnoxious if he weren't so friendly looking in the illustrations. The information is blended beautifully with the story leaving the reader almost unaware he/she has learned anything. There is some additional information at the back of the book for readers who want to know more. This book would work well both at home and in a classroom. 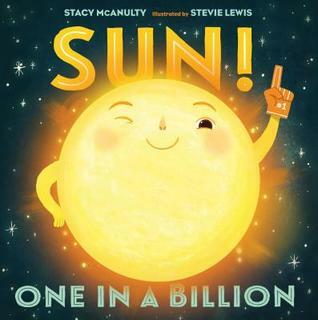 This book would make a fun introduction to a unit on the solar system and the sun's importance in it. The illustrations are large and attractive and cleverly done. A book both amusing and educational. With more and more people who survived World War II dying, it's become all the more important to record their experiences. These are the people who lived through a war that the rest of us can't even begin to imagine. This book combines the accounts of several dozen people who lived through some aspect of the war, whether concentration camps, military service, bombings, or life as a refugee. So many historical accounts focus on the experiences of the famous or well-known, because in many cases they are the ones whose experiences are documented. This book looks at the experiences of the ordinary men, women, and children. The book covers everything from the London Blitz, D-Day Invasion, Holocaust, kindertransport, bombing/fighting, and resistance activities. 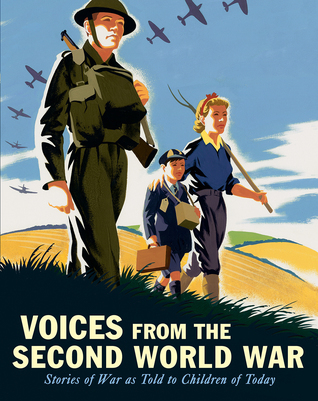 This book is a very valuable resource for teaching about World War II and why everything should be done to prevent such a war from ever occurring again. Some of these accounts were sickening in the horrible things they describe, but unfortunately that's war. Thus, I would only use the book with older students (junior and senior high). But the accounts included here show what war is really like in all it's ugliness. The book also highlights the courage and determination of ordinary individuals in facing the difficulties and heartbreak that war brings. Jennifer Nielsen in one of my favorite authors and she's proved her skill once again. Both her fantasy novels and her historical fiction have provided me with hours of great reading. 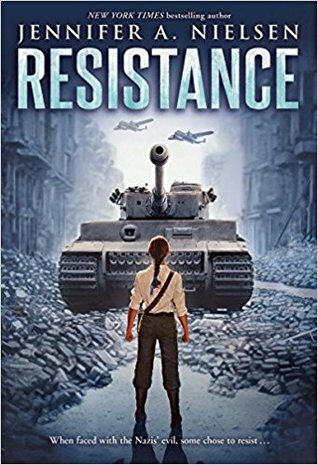 This book is the story of a young Polish Jewish girl who joins the resistance when she's forced to leave her family. At first the Jewish Resistance's work revolves around saving their people. But eventually they turn to fighting the Nazis through sabotage and theft. But when things go wrong, Chaya ends up on her own with a girl she isn't sure she can trust, on what seems to be a suicide mission. But she's determined not to give in to the Nazis use of fear and pain, even if it means she dies fighting. The story is detailed and compelling and it's clear that Nielsen has done her homework. I can't help but cheer Chaya on, even when she's forced to do unpleasant things that a sixteen-year-old should never have to do. But are all her efforts for naught? After all she's living in a occupied country where even many of her own countrymen/women don't want her around. This story of courage in the face of fear and pain makes for a powerful read. 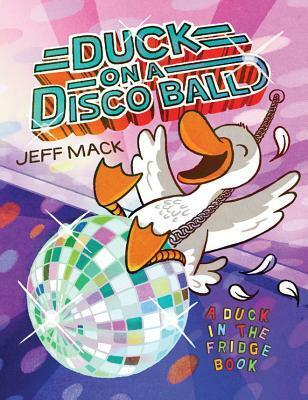 Jeff Mack is the award-winning author and illustrator of Duck in the Fridge; Mine! ; Ah Ha! ; Good News, Bad News; and the Hippo and Rabbit series. 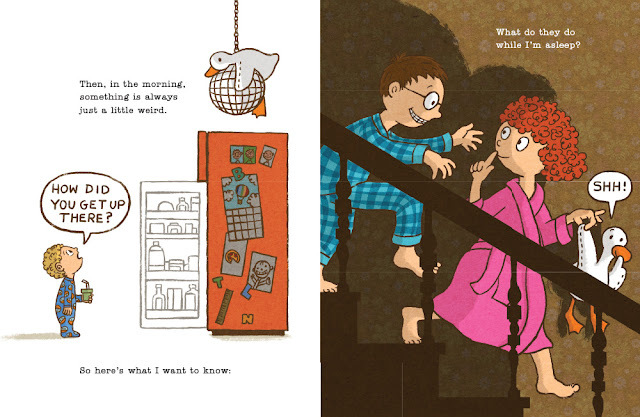 He has also illustrated many books, including If My Love Were a Fire Truck by Luke Reynolds. 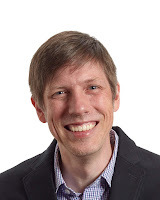 His books have been awarded the Texas 2x2, a Junior Library Guild award, a Colorado Bell Award, a Pennsylvania Family Literacy Award, a New York Public Library Best Book of the Year Award, and a Bank Street Best Book of the Year award. Jeff lives in Massachusetts. Visit him online at jeffmack.com. The silliness continues in the trailer! A young boy doesn't want to go to bed at night because he suspects that his parents are up to mischief at night. He keeps finding his stuffed duck in unusual places and thinks his parents are doing fun things without him. So one night he sneaks out of bed to spy and sure enough he discovers his parents are party animals. And yet the next morning the mess is completely cleaned up. Except for the stuffed duck in an unusual place. Jeff Mack has created a silly story about the secretive habits of parents and the way children long to grow up. If only that's how it really was. A fun story about a child who doesn't want to go to bed. It the tradition of Hidden Figures, debut author Patricia Pearson offers a beautifully written account of the remarkable but often forgotten group of female fighter pilots who answered their country’s call in its time of need during World War II. I'd heard of the WASP program before reading this book, but I didn't know much about it in terms of specific details. I know a lot more now having read this book. Pearson does an excellent job of describing the program as well as the events that led up to its creation and the events that led to its demise. Specific individuals who played a key role in the program are mentioned by name throughout the book. 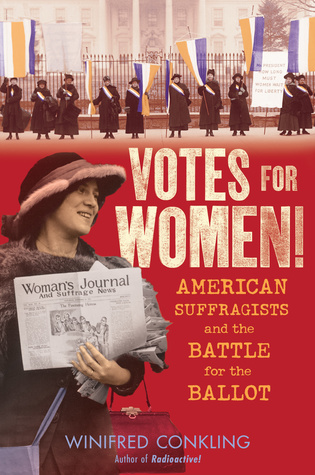 I especially enjoyed the experiences of specific WASP participants that Pearson shares throughout the book. These personal experiences helped clarify the points the author was making about the challenges these women faced in terms of physical, mental, and emotional challenges. I found it quite disappointing to read about the poor way many of the women were treated because other people didn't think women could be good military pilots, despite their proving their value over and over again. And yet, I couldn't help but admire the skill and determination that so many of these ladies exhibited in the face of discrimination and poor treatment. And their hard work did convert some of those around them to the value of the program. 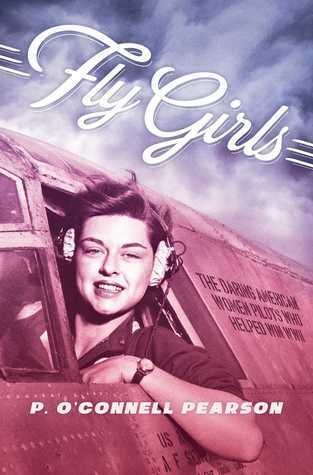 Pearson has written a fascinating, well-written account of an important program in the annals of World War II, where over a thousand female pilots sacrificed a lot to come to the aide of their country. Capsized! 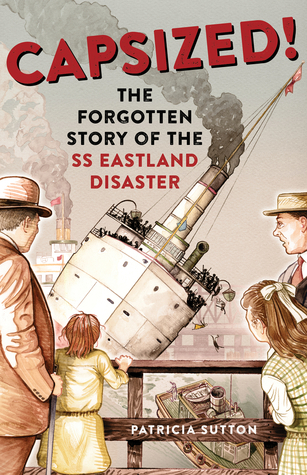 also raises critical-thinking questions for young readers: Why do we know so much about the Titanic's sinking yet so little about the Eastland disaster? What causes a tragedy to be forgotten and left out of society's collective memory? And what lessons from this disaster might we be able to apply today? Sutton has written a compelling account of a tragic disaster that occurred on July 24, 1915. The SS Eastland, a steamship, was loading up for a trip across Lake Michigan to deliver over two thousand people to a Western Electric picnic celebration. The ship capsized sending hundreds of people into the water, and trapping hundreds more inside the ship. Sutton takes the reader through an account of this event, detailing both general events and specific experiences. The actions of both crew and passengers are explained as well as a general history of the ship. After reading about the previous stability problems the ship had, I found it appalling that the ship was still in use as a passenger vessel, when the ship had over and over again demonstrated that it was not suited to such use. Mistakes both old and new guaranteed that a disaster was bound to happen. This one occurred without the ship even leaving the dock. It's proximity to the dock allowed people nearby to come to their aid. Despite the hundreds of people who helped, over 800 people still died, many of them women and children. This compelling story demonstrates that so many accidents are caused by human error. And so often those responsible aren't held responsible, leaving the victims and their families to suffer the consequences. A little known historical tale full of tragedy and courage, loss and bravery, as an entire community faced a disaster that didn't need to happen. OH NO! There's a dragon in this picture book by bestselling author, YouTube star, and musician Tom Fletcher--author of There's a Monster in Your Book! First, there's an egg in your book. Then the cutest baby dragon you've ever seen hatches from it. But don't tickle its nose, and whatever you do, don't let it sneeze! ACHOO! OH MY! 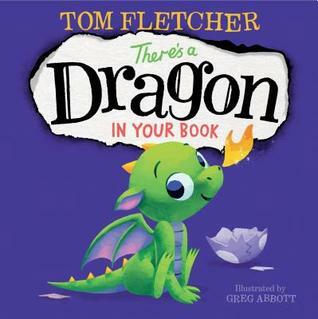 Tom Fletcher's infectious read-aloud invites kids to use their powers of imagination--along with some stamping, blowing, and flapping--to save their book from an adorable little dragon's flammable sneezes! Children will be delighted to participate in this satisfying tale, a sequel to There's a Monster in Your Book. This cute interactive book revolves around an egg that hatches into an adorable little dragon. But as anyone with pets knows cute often means messy and hard to care for. And in this case, the dragon offers another challenge: fire! And fire and books don't go well together. But never fear, the power of imagination comes to the rescue. This book is bound to be enjoyed by youngsters who enjoy physically and mentally interacting with what they see and hear. This would work well as a story time book as well, with the teacher/librarian encouraging students to close their eyes and imagine their way out of the difficulties the baby dragon causes. Combine with other fun dragon stories for a rip, roaring good time. Can knights and dragons ever be friends? 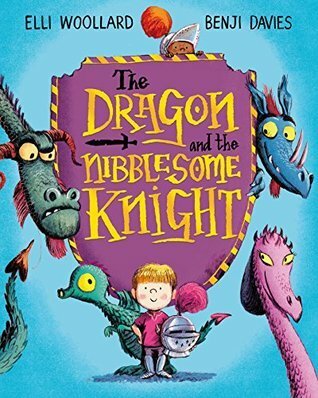 Woollard has written a cute story about a dragon and a knight, born to be enemies, who become friends, not knowing who the other is until afterwards. A young dragon is sent out to find a knight to nibble on. After getting caught in a storm and crashing, a young knight comes to his rescue, but without his armor on. The knight rescues the dragon thinking he's a duck. And of course, out of his armor, the boy doesn't look anything like a knight. When the misunderstanding is discovered, the two realize that their societies expect them to fight, but can they really fight each other after getting to know each other a bit? The illustrations are adorable and really highlight the challenge that the dragon and knight face confronted with the so-called enemy. I loved the theme as well. The theme of course revolves around the idea that once you get to know someone, it's a lot harder to be enemies, when that enemy relationship is based on incorrect ideas. When Tanisha spills grape juice all over her new dress, her classmate contemplates how to make her feel better and what it means to be kind. 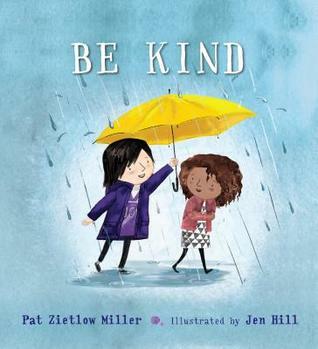 From asking the new girl to play to standing up for someone being bullied, this moving and thoughtful story explores what a child can do to be kind, and how each act, big or small, can make a difference--or at least help a friend. With so much ugliness in the world today, kindness has become more important than ever. But sometimes we don't know how. In this story, a young girl witnesses a fellow student spill a drink on herself and the rest of the students laughing about it. She remembers her mother's advice to be kind, so she doesn't. And when her first effort to be kind doesn't seem to work, she's not sure what to do. While she works on a project in art class, she wonders about what it means to be kind. After thinking about what kindness means, she tries again to reach out to Tanisha. I enjoyed this book for several reasons. First, I loved the story about a girl trying to be kind, even though it takes more than one effort to succeed. I also loved all the different ways she comes up with to be kind to the people in her life. And third, I loved the theme that small kind acts can change the world in big ways. And the illustrations are darling as well. That makes the book a real winner in my book. In this thoroughly researched volume for young readers, Lawrence Goldstone traces the evolution of the law and the characters involved in the story of how the Supreme Court helped institutionalize racism in the American justice system. This wasn't the easiest book to read for several reasons. First, massacres are never easy to read about because of their appalling nature. Second, justice was never received. And third, the court system allowed the murderers to go free, but basically opened the door to allowing them to treat black Americans however they wanted. Goldstone starts by explaining what happened the day the massacre occurred. He then flashes back to the end of the Civil War and the events that led up to that horrible day. He covers the condition the South was left in after the war and the racist attitudes that still ran hot. He talks about the fighting between the Radical Republicans who controlled Congress and President Andrew Johnson and how that led to the passing of the 14th and 15th Amendments and Reconstruction, all of which was designed to make black Americans equal citizens in the eyes of the law. The problem was, too many people, both north and south, didn't want equality. And while Reconstruction forced the South to go along with it for awhile, eventually Reconstruction ended leaving racism alive and well. Goldstone returns to Grant Parish and provides the background that explains why the massacre (or the riot as the murderers called it) occurred. He then moves on to the efforts made to bring the murderers to justice. He provides a fascinating explanation for what happened and why it happened and the reasons the Supreme Court basically said the 14th and 15th Amendments couldn't be enforced by the federal government. 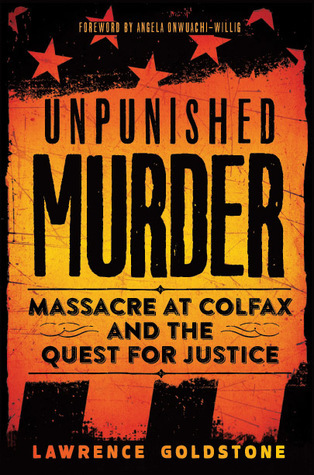 Frankly, it was appalling to read of the utter unfairness of what happened and the way murderers not only went free, but were allowed to retake control of the state governments throughout the South, which directly led to the Jim Crow laws that led to so much suffering for so many black Americans. Goldstone does a good job of explaining things that are pretty complex in a way that teenage readers will be able to understand, especially those interested in politics and the court system. This book is a very important one in that it tells a story that needs to be heard, especially as it's become crystal clear that racism isn't a problem of the past. 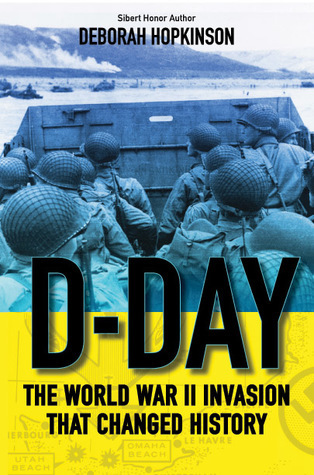 There are many books available about the D-Day Invasion of World War II. But because so many people were involved, there are endless ways for the story to be told. In addition, for the same reason, authors have to pick and choose what information to share, there is simply too much to share in any one book. Plus, no two authors tell the story in the same way. Thus, there is a place for Hopkinson's book on the subject. And she's done a fabulous job in sharing the information in a way that works for adolescent readers. The book starts with the experience of a young man flying over France as one of the thousands of paratroopers proceeding the sea-based invasion. This makes for a great beginning as it pulls the reader right into the story. Following a brief description of what D-Day was and how the U.S. Army was organized (helpful for those with little military or World War II background), Hopkinson goes back and tells the story of the major events that led up to the invasion itself. The book is divided up into 7 parts as follows: The Plan, The Gods of War, Night Into Day, Utah, Omaha, Aftermath: More than Courage, Quartermaster's Department. Each section includes important information related to the general plans and some of the individuals involved in creating those plans. As this book is written for American youth, it focuses on the two invasion sites that the Americans helped invade, the beaches code named Utah and Omaha. I especially appreciated the widespread use of quotes and experiences from individuals who were there. The story feels more real when one reads the words of an actual person. The inclusion of 'dispatches' and 'Reader's Invasion Briefings' helped create context in relation to specific issues that came up during the invasion. All in all Hopkinson has created a compelling account of a day that changed the world forever. A day that young history buffs will want to know about. This is a book that would be easy to recommend to young readers who want a glimpse into the experiences of those involved in both the planning and executing of D-Day. I am not a huge fan of pulling pranks. I think that it can be very unkind and mean. 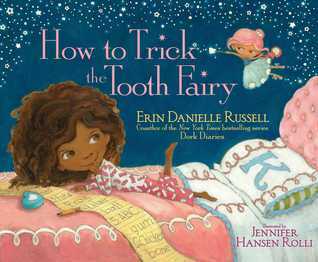 But the consequences of pulling pranks is seen in this story as Kaylee and the tooth fairy face off. Kaylee loves to prank and so when she loses a tooth she naturally turns the tooth fairy's visit into a prank and gives the tooth fairy a fake frog rather than her tooth. But she doesn't realize that the tooth fairy is a prankster herself and is more than willing to give back. As the pranks go back and forth though the problems created by the pranks get bigger until it finally becomes obvious that things have gotten out of hand. But have they really learned their lesson? The illustrations are darling and full of life and spirit, the sparkles on the cover are bound to catch the eye of young readers. The twinkle of mischief in Kaylee's eyes is hard to miss and adds to the appeal of the story. This is a book that is bound to be enjoyed by many a young prankster. I am pleased to say that once again I have the privilege of serving as a judge. I will be serving as a Round One panelist for the Junior High/Senior High Nonfiction category as I did last year. Novels may get all the glory, but we know that truth is stranger than fiction any day of the week. We’re currently in a golden age of nonfiction. Forget the dry stuff they used to read in school to help with homework–today’s authors understand how important a great nonfiction piece of writing is to both students and teachers, both for the learning opportunities in school and outside school walls. Great nonfiction can sweep readers away to far off lands, different time periods, and have you walk the shoes of someone else’s life as easily as fiction–for in our case, these people, lands, and events really took place. Young adult readers do not need to be lectured, they want the information presented to them so they can make informed decisions for themselves. Because of this, authors have the ultimate responsibility of bringing truth alive to these discerning readers–do not try to sugar coat, lie, or belittle or you will lose them instantly. 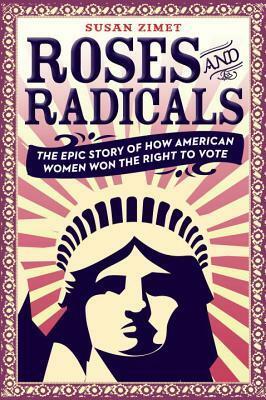 Young adult nonfiction readers will not and should not shy away from controversial topics, they rely on accurate and up-to-date information to help them form opinions on what matters most to them. While some topics are not easily discussed, we need these resources so they have a safe place to turn to for the information they seek. What we are looking for in Junior High/Senior High Nonfiction category is the best of the best in nonfiction. At least 50% should be narrative nonfiction–something that “reads like a story.”. It might include informational graphics, pop out boxes, an index, good citations, and more. 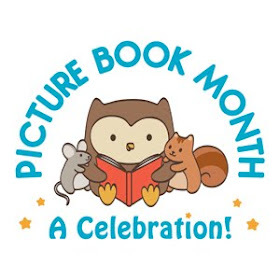 While how-to nonfiction and textbooks are fantastic in some cases, for CYBILS purposes, that is not what we are looking for so please do not nominate them. If you have read or written an engaging narrative nonfiction book for those in fifth through twelfth grades, we would love for you to nominate them for Young Adult Nonfiction! We’ve broken YA into two age categories and are awarding Junior High and Senior High separately. How do I decide which category to nominate in?